Stalk pristine fields in the solitude of early morning as you hunt chukar, huns and ruffed grouse with bird dogs at your side. Victory Ranch’s upland bird hunting program is led by Harley Jackson, lifelong bird hunter and host of the program American Gun Dog. 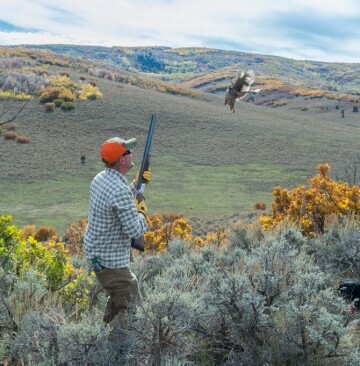 Declared an official Commercial Hunting Area by the state of Utah, Victory Ranch offers you an extended hunting season and includes wild birds, ruffed grouse, blue grouse and hungarian partridge.